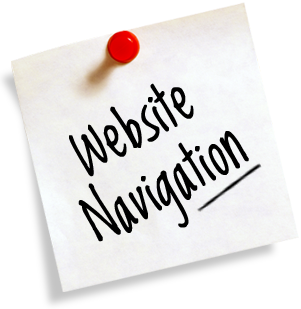 The navigation system you install into your website says a lot about its usability. A poorly structured website is hard to use and is not very search engine friendly. Google puts a fair amount of its SEO (Search Engine Optimization) decision making into navigation, so it is a good idea to get it right. Here are some tips to help you do just that. A navigation hierarchy is very common to the point where it is considered to be an intuitive design element. People expect the homepage to be at the top like a family tree. Sub categories then come off of that, and then sub categories off of that and so forth. A few designers claim that having more than three or four tiers is too much. This may be true, so you may set up options to exclude items once you reach the third or fourth tier, as that should help remove any possibility of confusion. Look for DVDs on eBay or Amazon and you will see how they have options such as “region”, “used”, etc. The three-click rule is a website designer rule that tries to get people to work on more efficient navigation. 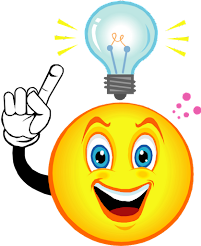 It works on the principle that if a person does not find what they want within three clicks then they will leave the site. It is a bit of a generalization, but it is a nice way of getting designers to work on more efficient navigation. This tip is based on how your user works and how the search engines work. Your human viewer may be able to discern what the link points to by the text around the link. But, your best bet is to make the anchor text readable by humans so if the reader is skim reading then he or she may still gather what the link is all about. There is also the fact that Google uses what you write on your internal link anchor text to guess what the linked page is all about. If the anchor text is uninformative then you are missing out on an SEO benefit. People expect your search bar to be at the top of the website pages. It is just a commonly believed thing to the point where if you put it on the bottom or down a sidebar then people just assume you have not got one. It may be a little bit crappy to have to follow the trends in this manner, but the fact is that people expect that to be where the search bar will be. Placing it in the right place is all part of your website usability and navigation. This is a technique where you point at least three internal links at each page. When you are planning your website and your navigation, you should be able to spread out your internal links so that each page is linked to be at least three different pages. This will help to make your web pages more search engine friendly and will increase the chances of people visiting more pages. It also helps to get each page indexed a little quicker and helps in case one or more of the links is broken. It means that there are at least two more links to keep your page connected. The anchor text is the bit that goes over the link and covers it up. It is supposed to be there to describe the page it links to. Having very short anchor text that is uninformative such as “click here” or that is just a bunch of numbers or a code is not going to help the user figure out if he or she wants to click on it. Plus, it gives no indication to Google as to what the linked page is all about. You need to describe it with words, and try not to just string a bunch of keywords together as that is more for the search engines benefit than the user, which does not help your navigation. The URL is the name of your website pages and it appears in address bar. You can name your pages something such as “page 1”, “page 2”, but this is not very informative. You can get an SEO boost and a user experience boost if you name your web pages something with actual words. It is quite common for website URLs to be named after their page titles. So, the URL could look the bad way such as, “domain.com/page-1” or it could be optimized for the user and the search engines such “domain.com/7-Effectives-Tips-to-Improve-Navigation-for-Your-Site”. That example shows how naming the URL after the page title makes it far easier to read and understand what the page is all about without even navigating to it first. Sonia Jackson who writes essays on different topics and can give you useful advice.